A quick view of the most influential metrics in Villanova. Villanova Today When Villanova College first opened its doors in 1843, a small town grew up around it. While a portion of Villanova is located in the southwestern corner of Lower Merion Township, Montgomery County, the university, its surrounding business community, and the railroad station are all located in Delaware County. The town sits on Route 30 and offers an interesting variety of shopping, dining, cultural amenities, and great transportation, Villanova is a prime real estate area, with a beautiful setting for luxurious, large homes. Homes & Architecture Like most Main Line towns, once the railroad improved access from the city, Villanova saw the rise of grand “country seat” farms and estates being built by Philadelphia executives for their summer homes. oday, prospective Villanova home buyers can chose between smaller, more practical homes, or luxurious Main Line Country houses that have swimming pools and tennis courts. Ardrossan Colonel Robert L. Montgomery was founder of an investment banking firm now called Janney Montgomery Scott. He purchased his Radnor farm and, in 1910, the height of Edwardian elegance, he commissioned Horace Trumbauer,of Art Museum and Free Library fame, to design an estate house. Completed in 1912, the iconic, 50 room Georgian mansion stood as the centerpiece of the 750 acre estate and featured 13 foot ceilings, a foot taller than similar-period Main Line homes. 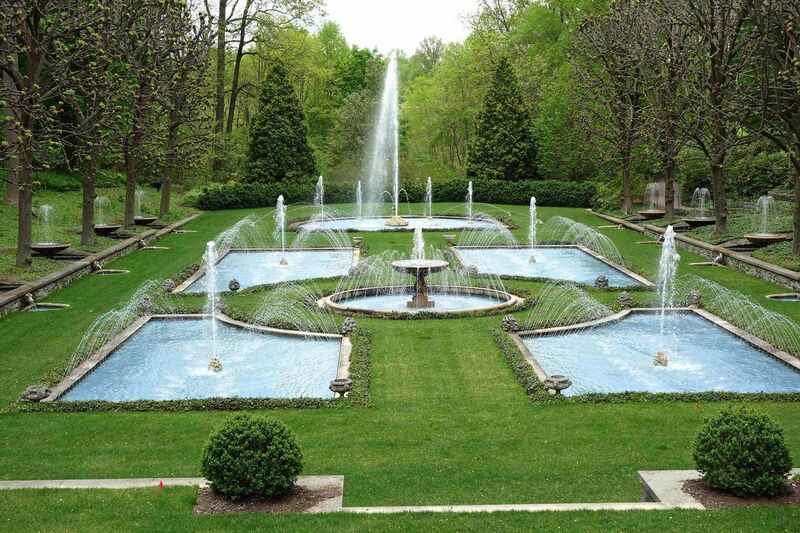 The legendary Villanova estate still occupies a massive 350 acres of Radnor’s landscape, as well as its imagination. Plans are currently underway for both preservation and development of the property by Radnor Township and private builders. For now, the upper floors are still family occupied, but the lower floors are often open to the public during charity and community events. Bloomfield Bloomfield, at 200 Ithan Ave, was originally constructed 104 years ago.George McFadden Jr., a cotton tycoon, hired Horace Trumbauer, in 1923, to totally remodel and transform the existing house into a 17th century French chateau. The Villanova estate had 35 rooms, 19 bedrooms, 22,000 square feet, a dozen fireplaces with marble mantels, 16 foot ceilings, and a grand ballroom with parquet floors. Built on seven acres that include formal gardens designed by famed landscape architect Frederick Law Olmstead, the exterior was all limestone. The estate remained in the McFadden family until 1984. In late 2010, the 5.87-acre Villanova estate served as a double for Gracie Mansion, the official residence of New York City's mayor, for the Jason Statham action movie Safe. Although it was recently for sale for $6 million, sadly, the Villanova estate was destroyed by fire in 2012. The Willows The former “Rose Garland” estate was designed by architect Charles Barton Keen in 1910 for John Sinnott Jr., son of the owner of the largest distillery company in the country. It was purchased in 1937 by utility magnate Clarence Geist for his daughter Mary Zantzinger, whose family lived there until the land was sold to a developer. After a proposal for a townhouse development was rejected, Radnor Township purchased the property. Now known as The Willows, this Radnor mansion functions as the hilltop crown overlooking a 46 acre park and site for both private and community events. Due to budget considerations, the Township is considering closing the mansion. View our selection of available properties in the Villanova area. Check out the latest demographic information available for Villanova. Learn more about schools near Villanova complete with ratings and contact information. Browse through the top rated businesses in the most popular categories Villanova has to offer.